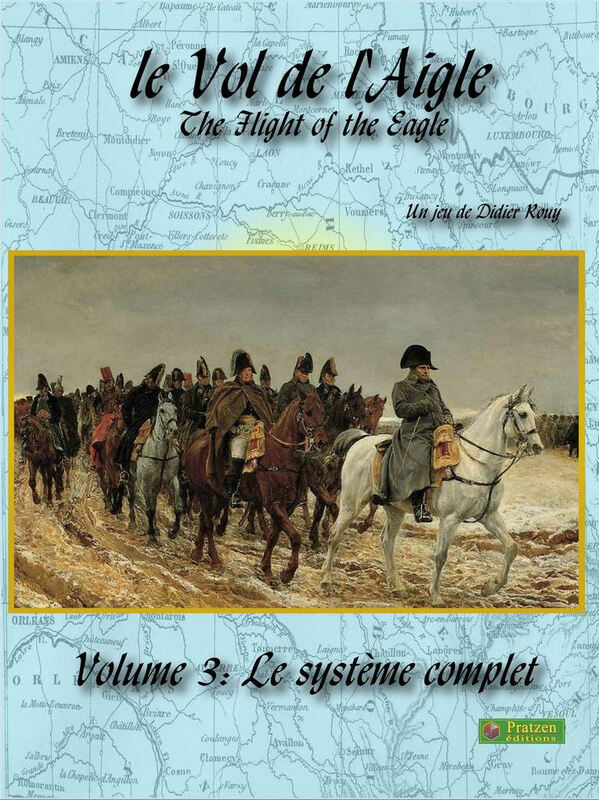 The Flight of the Eagle is a set of rules that harkens back to early days of war gaming when Kreigspiel was done with generals positioned around large maps, pushing little flags or wooden blocks representing the maneuver elements of their army. Umpires would oversee the progress of the campaign and use complex procedures to adjudicate the results of battles. The commanders’ performances would thus be evaluated and a debriefing would follow to determine what went right and what went wrong in the campaign. Designer Didier Rouy and Pratzen Editions have taken this concept and applied it to the Napoleonic era. Using paper, pen, six sided dice and copies of 19th century maps, they have constructed a rule set whereby teams of players can fight almost any of the Napoleonic campaigns from 1805 to 1815 in an umpired setting.